While there are many factors guests need to consider when planning a Disneyland Resort vacation, supernatural threats are no longer among them. 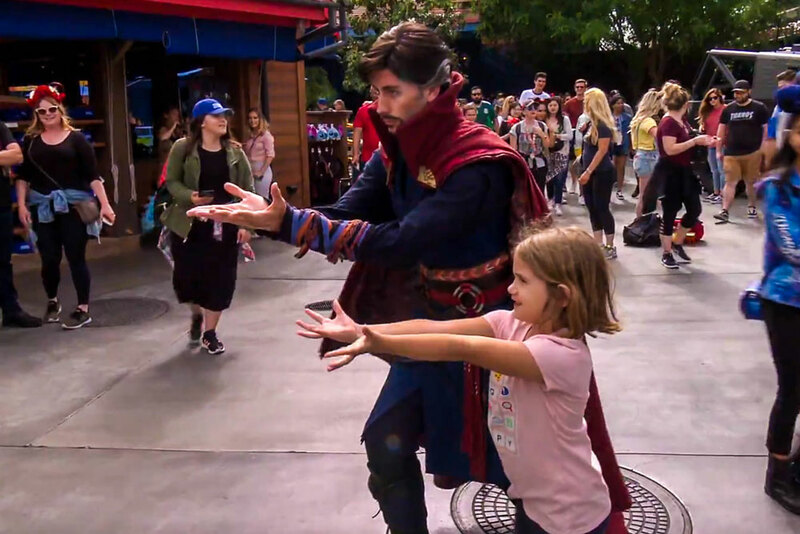 Doctor Strange, Sorcerer Supreme and Master of the Mystic Arts, is now patrolling the streets of Disney California Adventure. Disney has released a video showcasing the hero’s debut, as he instructs guests in the proper movements of magic and stops for autographs (with a surprisingly legible signature, for a doctor). Guests can meet the spiritually-adept surgeon and many of his heroic compatriots — including Black Panther, Black Widow, Captain America, Spider-Man, Loki, Thor, and Gamora — in California Adventure’s Hollywood Land throughout the summer.